Bowman Cox leads the Pink Sheet's coverage of pharmaceutical manufacturing quality issues. 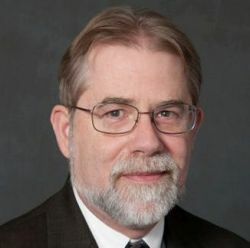 He writes and edits articles on the challenges and opportunities that developments in science, technology and regulatory policy pose to drug manufacturers and their quality organizations. FDA asks about regulating foreign firms more and destroying drugs at the border, and questions firms about particles and aseptic practices. In this week's must-read Quality Lowdown: A New Jersey firm must investigate antibacterial foam that wasn’t, a Chinese firm must validate its OTC spray, a Portuguese firm must establish a quality system, and FDA must get forensic help if it is to understand certain drug-related deaths. Better immunogenicity assays overcame concerns raised in complete response letter for Udenyca, leading to approval of the Neulasta biosimilar. US FDA assigns blame for quality failures at mostly US-based homeopathic, contract manufacturing and OTC firms, while WHO approves growing manufacturing plant in Kenya. The US FDA’s FY 2020 budget request calls for funding to help advance the emerging drug compounding outsourcing sector, as did the FY 2019 request. The money would bring more training, specially tailored GMP requirements and a center of excellence.